In order to login to Moodle you need to use your BOUN email username which is the part before ‘@’ character of your email address and BOUN email password. 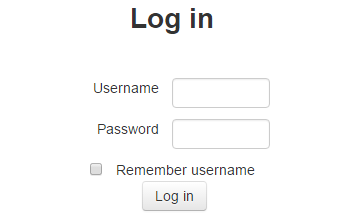 Be sure you did not use your registration password in the password field. 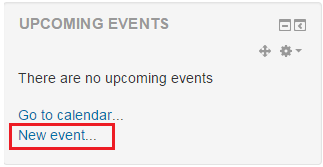 In order to add Events, “New event…” link in “Upcoming Events” panel should be followed. This panel is located on the right hand side of the course page (Figure 1). On the next screen, the form should be filled and then “Save changes” button should be clicked. The fields that are marked with red * sign are required fields (Figure 2). In order to add News, “Add a new topic…” link in the “Latest News” panel should be followed. This panel is located on the right hand side of the course page (Figure 1). 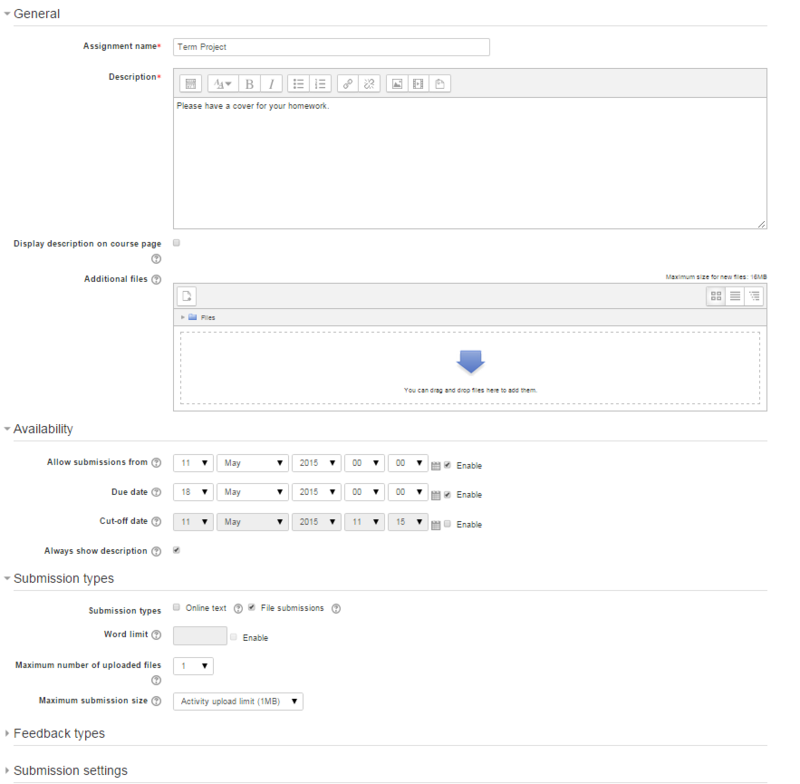 On the next screen, the form should be filled and then “Post to forum” button should be clicked. The fields that are marked with red * signs are required fields (Figure 2). 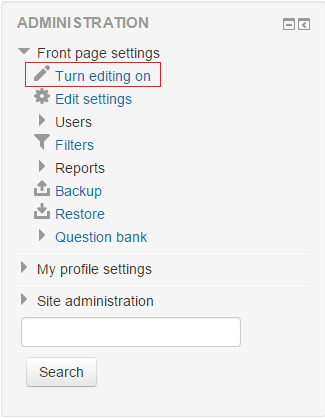 In order to activate editing tools, “Turn editing on” should be selected in the administration panel after logging into the Moodle system (Figure 1). Administration panel is located on the left bottom corner of the page. 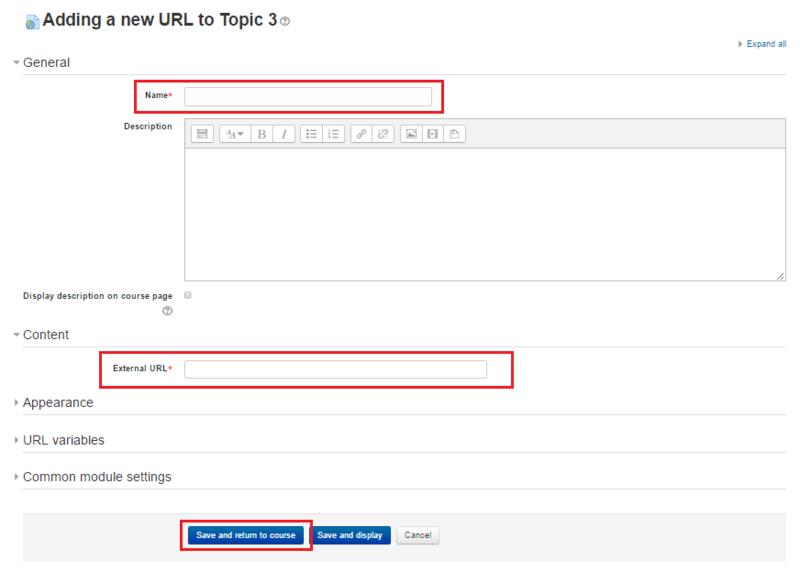 “+ Add an activity or resource” link, which is located on top of the page of the course or below the related week or topic is selected (Figure 2 and Figure 3). PS: If no date is specified for the assignment, link on top of the page may be used. “Assignment” link, which is located on the left side of the opening window (Figure 4), is selected and “Add” button is clicked. 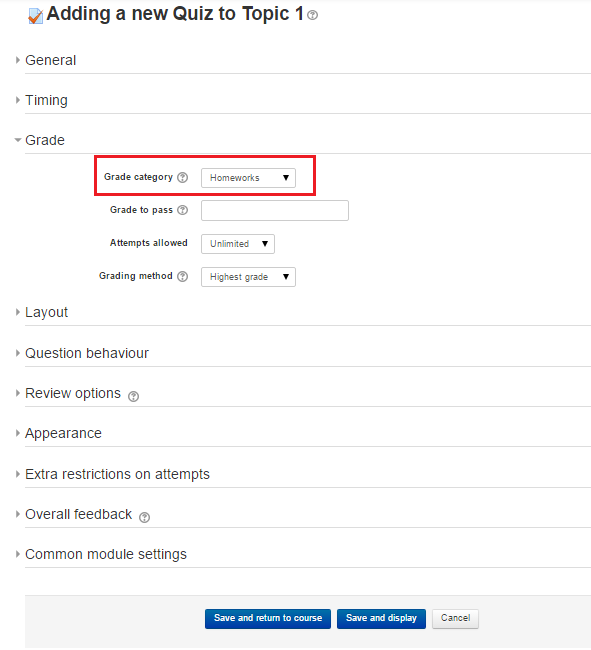 In the page that has just opened, assignment details such as assignment date, submission types etc. 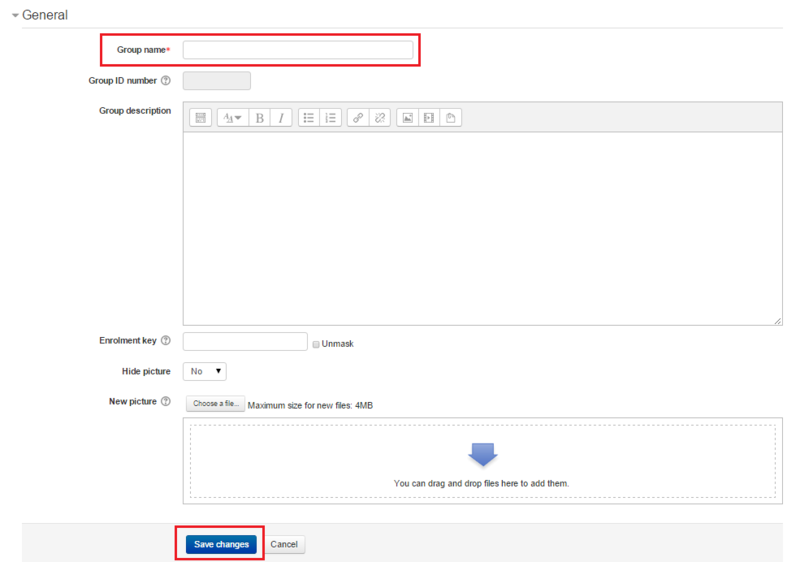 are filled and by clicking “Save and display” button, the assignment is created. A "Grader" can evaluate and grade assignments. A "PS Assistant" can evaluate and grade assignments and add documents to course page. An "Assistant" can do everything a "Teacher" can do except that it can not give lecture grades to students. 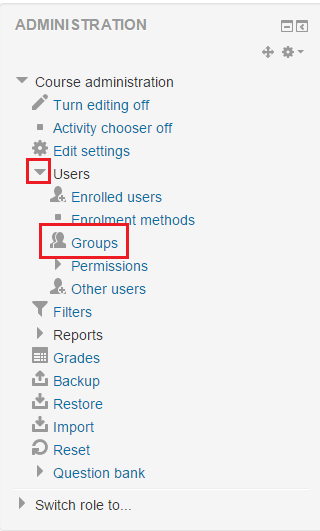 In order to remove a user's role, X button that is near to the user’s role in “Enrolled Users” list should be clicked. By clicking “Remove” button that is on the pop-up window, the removal process can be done. 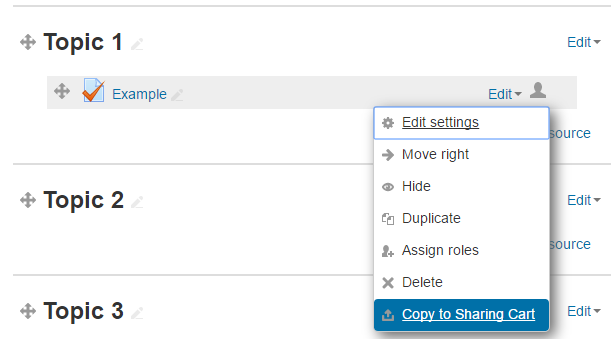 By clicking button that is next to the user’s role, one of the roles that are available in the system can be selected and assigned to that user. 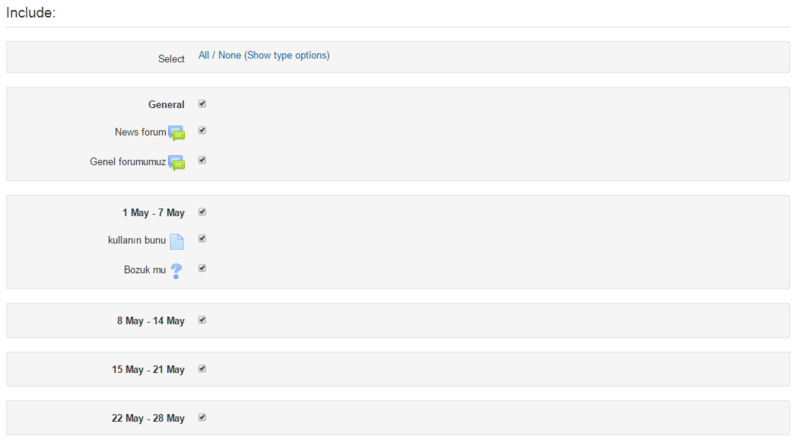 In order to give more than one role to the user, icon should be clicked. 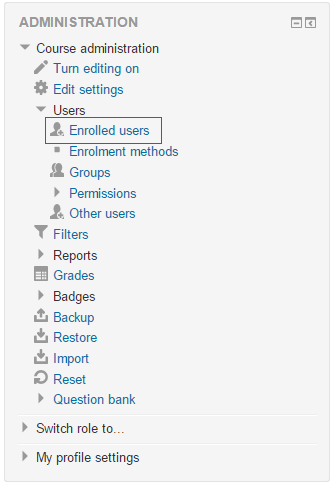 In order to unenroll a user from the course, X button that is at the right-bottom corner of the user’s line in “Enrolled Users” page should be clicked. Then, by clicking “Continue” button on the next screen, the unenrollment process can be completed. How to add file to a course? At the course page, “+ Add an activity or resource” link that is on the top of the page should be clicked. Link that is at the bottom of the related subject. 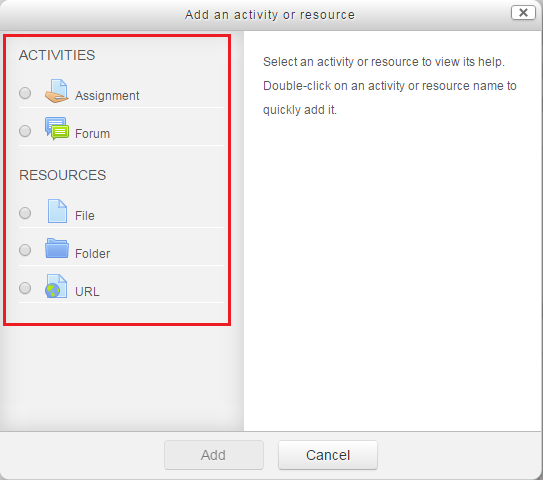 Then, “File” that is on the left side of the pop-up page and under the “RESOURCES” part should be clicked. On the pop-up page, attributes of file can be edited. “Name”, “Description” and “Content” fields are necessary to fill. How to import a course? 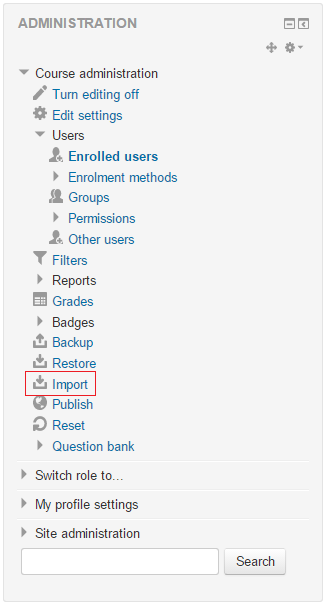 By clicking the “Import” button, which is located under “Administration” menu (Figure 4), data transfer section will appear. 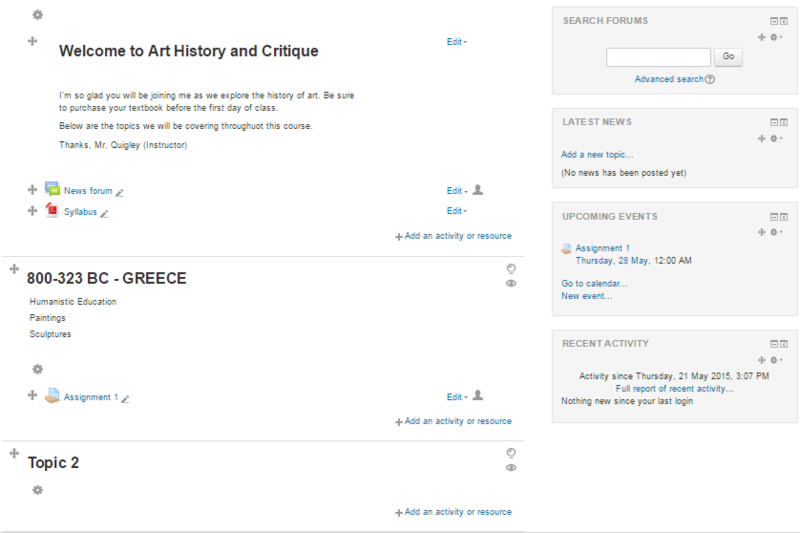 In the “Import” page (Figure 5), current courses of the system are listed. 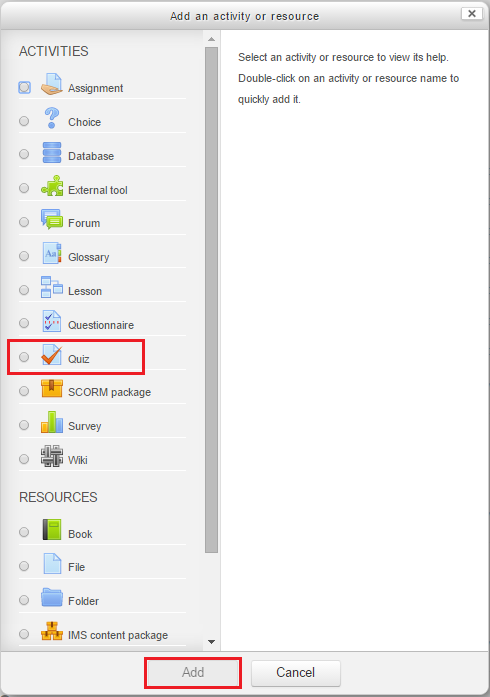 After selecting the related radio button, which is located near to the title of the course to be imported, and clicking “Continue” button, a page that consists sections of the course to be selected (“Backup settings” page) will appear. “Backup settings” page (Figure 6) shows areas of a course to be imported. After marking the sections that are to be imported in the previous (5th) step, “Next” button is clicked and other copying options will appear. 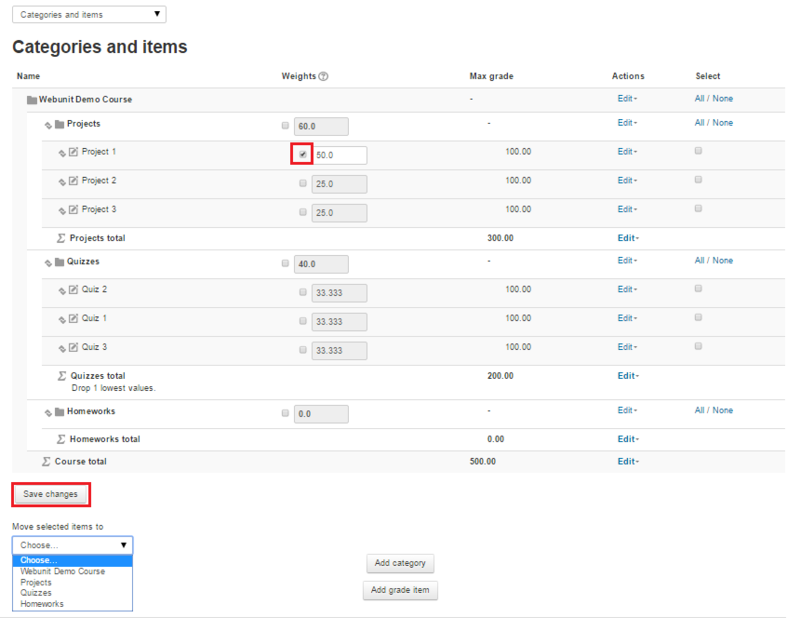 After marking the sections that are to be imported of a certain course, “Next” button is clicked and a page (Figure 7) that contains information about the sections to be imported will appear. 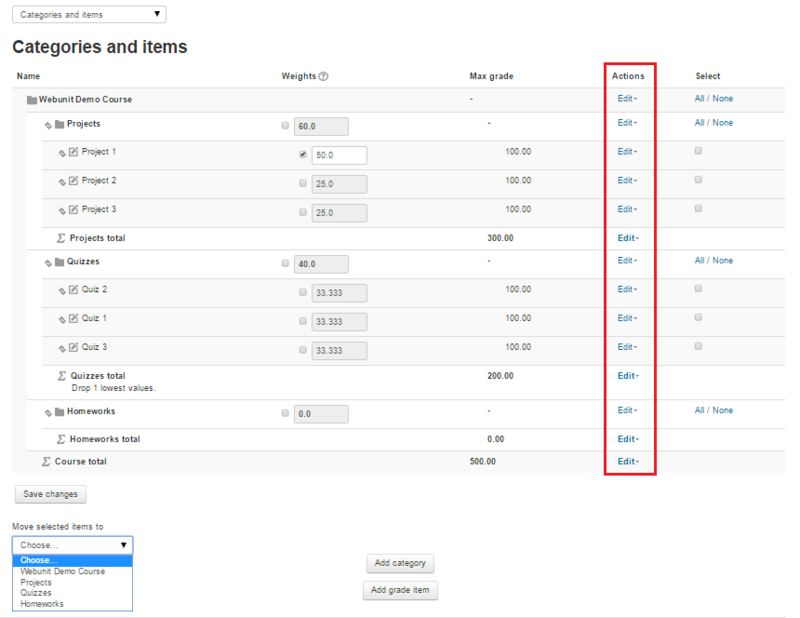 After completing these steps, a review page that contains information about the course (showing which sections will be imported and which will not) will appear. After confirming this information, “Perform import” button is clicked and the last step is completed (Figure 8). The message that is indicated in Figure 9 tells that the process is completed successfully. The data of a past course is now imported to a current and is ready to be used. 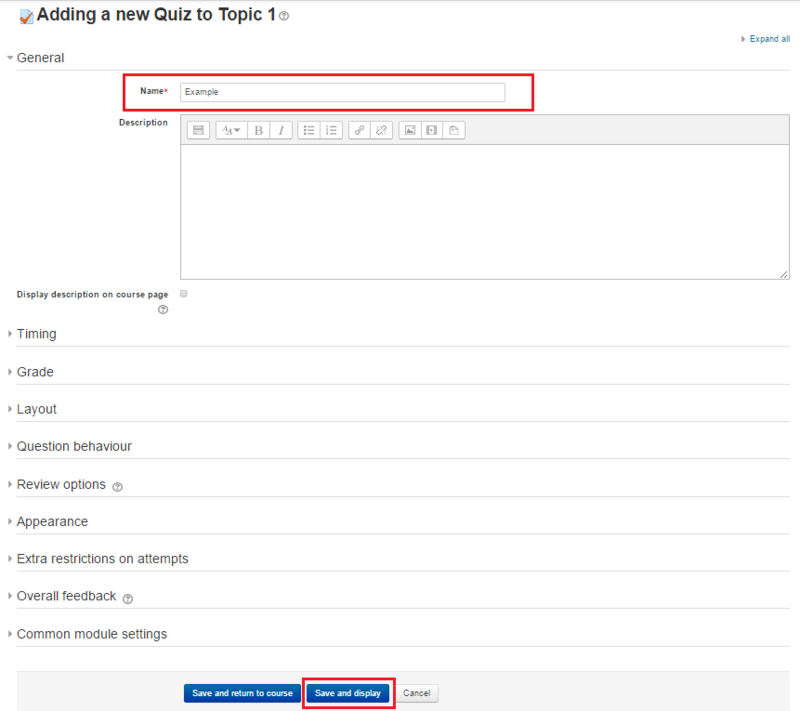 In the course page, “+Add an activity or resource” button, which is located at the top of the page or below the related week or topic should be clicked. 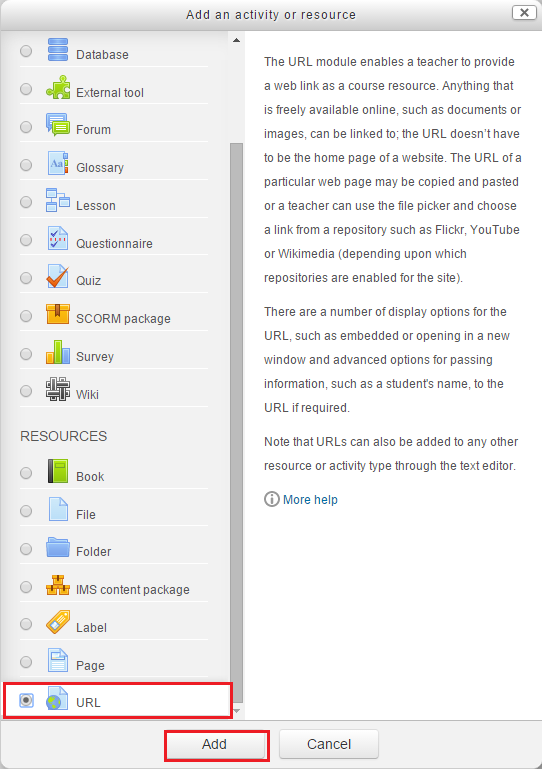 At the left part of popup menu (Figure 4), “Forum” button and then “Add” button are clicked. 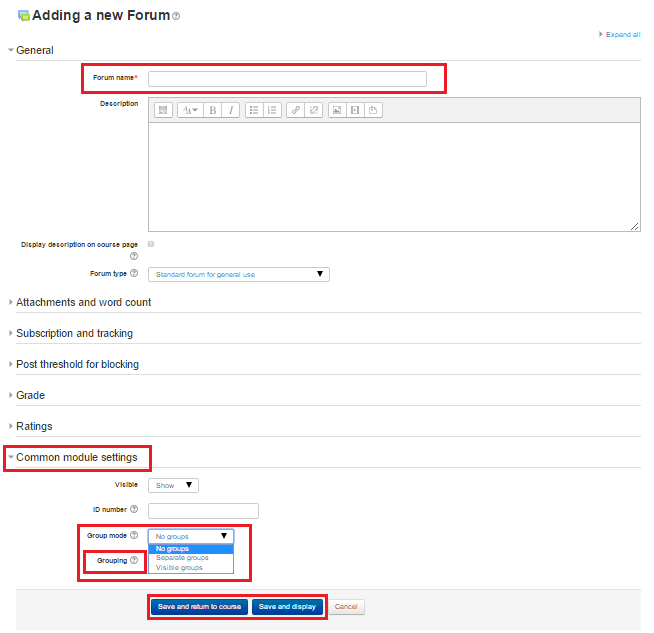 Changes that belong to forum are made on the popup window and “Save and display” button is clicked in order to complete the process. How to edit course description? 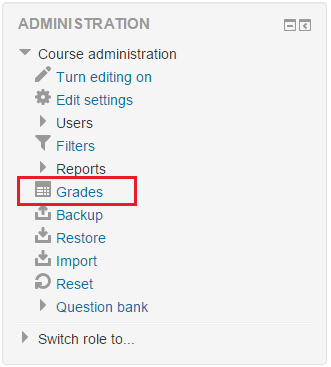 The assignment that is to be graded should be clicked in the course page in order to display “Grading Summary“ (Figure 1). “Grading Summary” page (Figure 2) shows how many students submitted their assignments and how many assignments need to be graded. “View/grade all submissions” button should be clicked to access to list of people who submitted their assignment. Assignment status of the people for assignment is shown in “Status” column. “Edit” button that is in the same row with user name should be clicked. 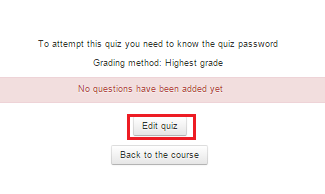 After that, “Grade” button should be clicked to reach grading page of the user. 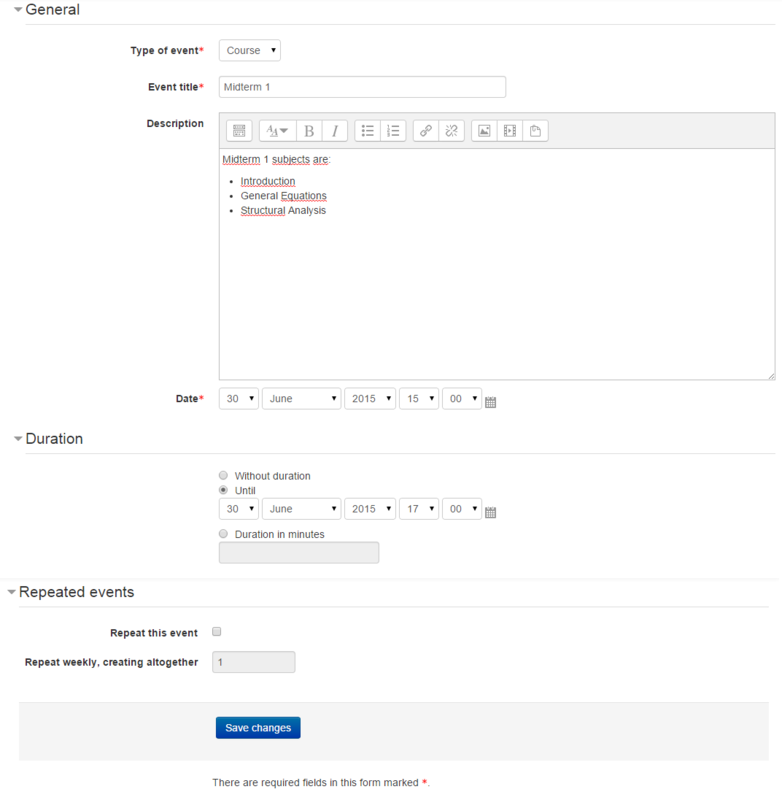 At the top of the grading page, submitting status is shown. At the bottom of the page, “Grade” from can be displayed (Figure 4). After finishing grading and feedback processes “Save Changes” button should be clicked in order to complete process. How to reply to a Forum topic? 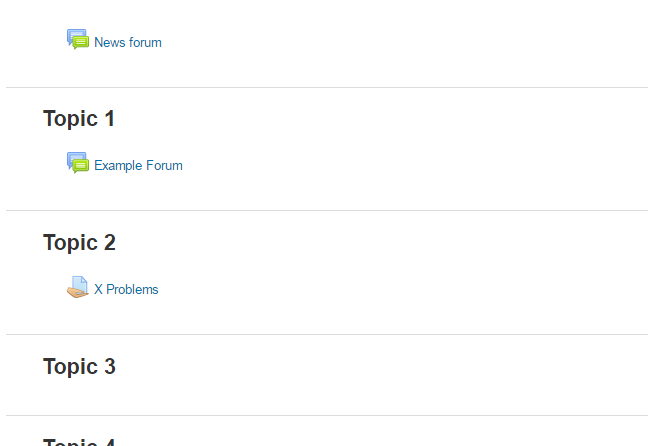 “News Forum“ link should be clicked on the course page to access the forum. To answer a discussion, the topic of the discussion should be clicked. (Figure 1). “Reply” link, which is on the lower right of the discussion box, should be clicked to write an answer. (Figure 2). On the next screen, the form should be filled and then “Post to forum” button should be clicked. The fields that have red * sign next to it are required fields (Figure 3). How to change course format? In order to change a course’s format (eg. 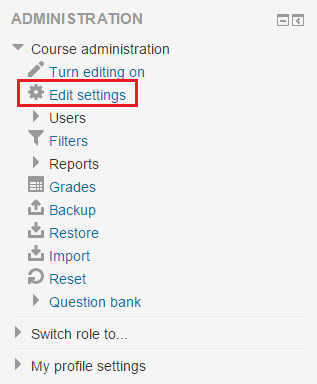 from Weekly to Topic-based), “Edit settings” button should be clicked in the administration panel after logging into the Moodle system (Figure 1). Administration panel is located at the left bottom corner of the page. 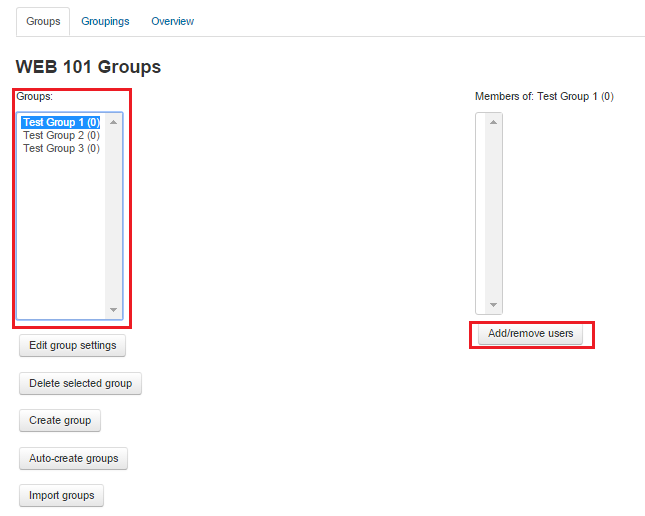 Then, course format can be changed from “Course format” section of “Edit course settings” page (Figure 2). 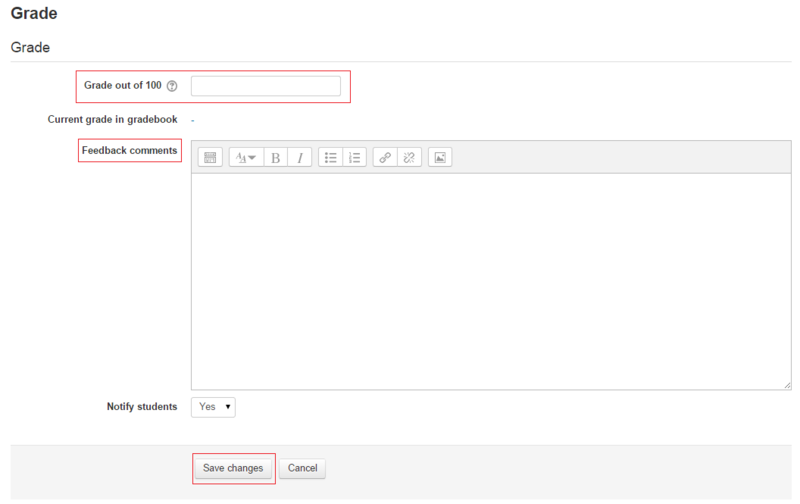 After the desired format is selected, “Save changes” button which is located at the bottom of the page should be clicked (Figure 3). How to make a course visible to students? 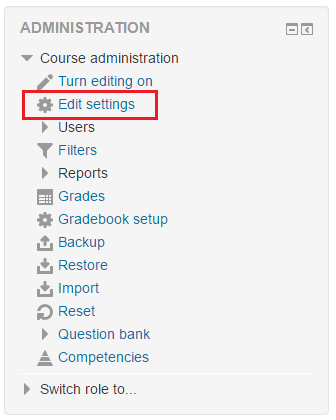 In order to make a course visible to students, “Edit settings” button should be clicked in the administration panel after logging into the Moodle system (Figure 1). Administration panel is located at the left bottom corner of the page. Then, "Visible" section can be changed from “Hide” to “Show” (Figure 2). 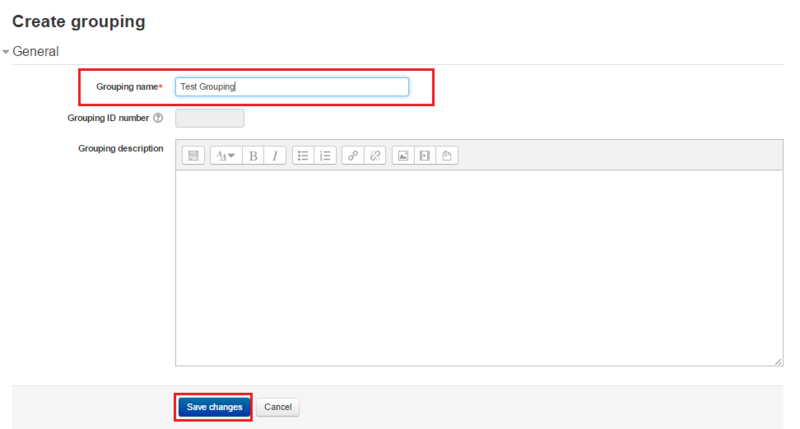 After that, “Save changes” button which is located at the bottom of the page should be clicked (Figure 3). How to Define Grading Categories? 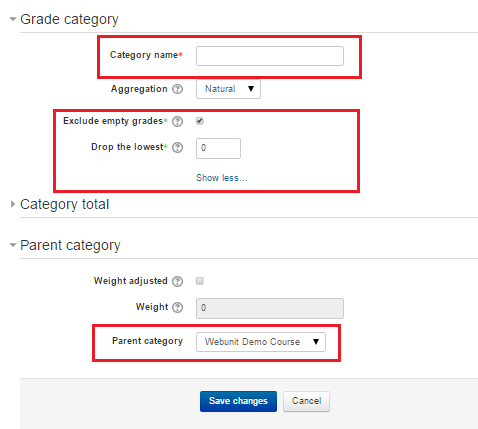 Then, change "Grading report" to "Categories and items" under "Setup" section of the top drop down selectbox (Figure 2). 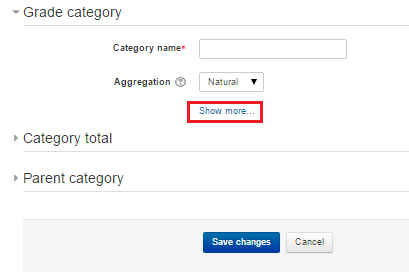 After that, click "Add Category" button (Figure 3). How to Define Grading Items? 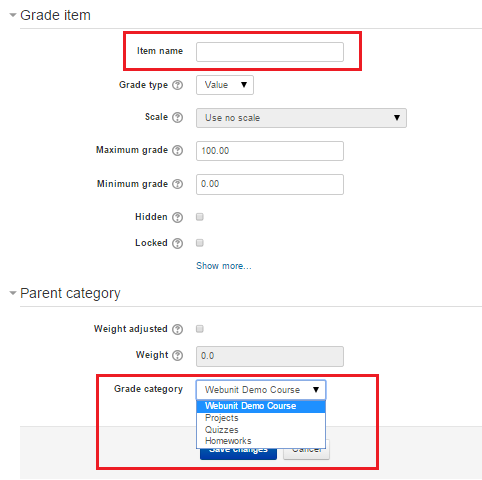 After that, click "Add grade item" button (Figure 3). On this page enter the "Item name". 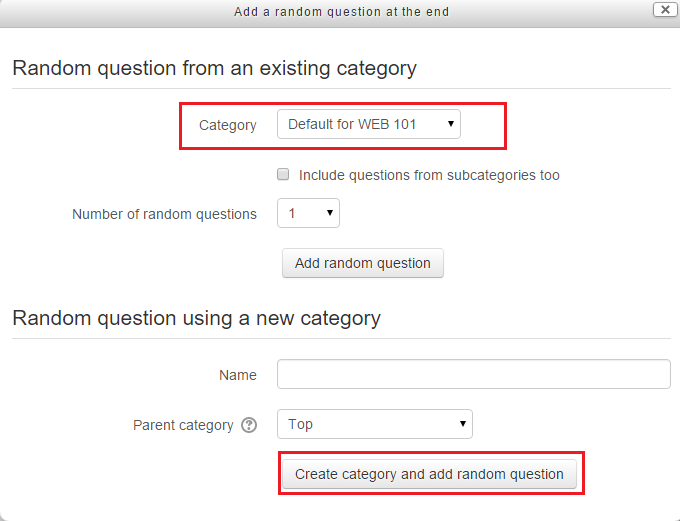 Under "Parent category" section choose "Parent category" (Figure 4). How to Manage Grading Categories and Items? 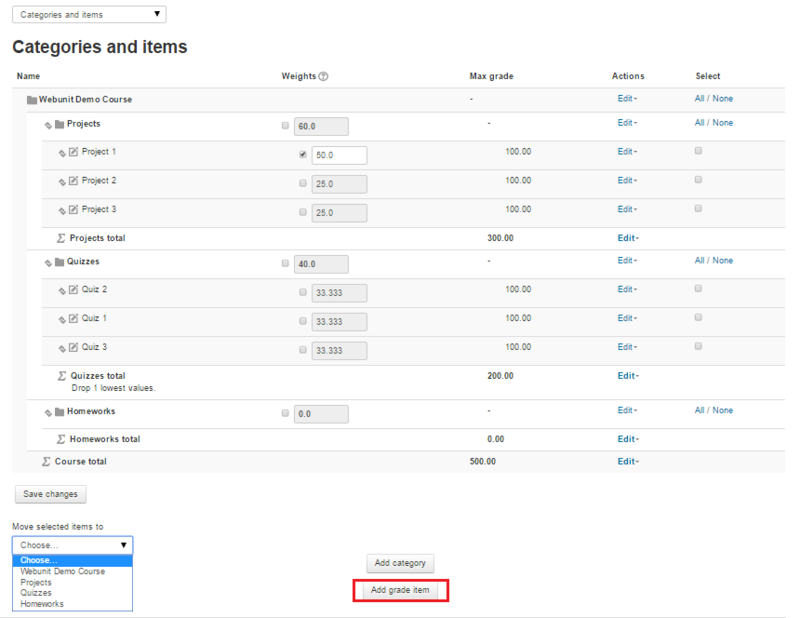 In order to change the weight of an item or category, click on the checkbox on the left side of the weight area. Then click "Save changes". (Figure 3). In order to change the category of an item or category, click on the checkbox at the enf of the line, under select area. And change "Move selected items to" selectbox's value to the category you wanted. Then click "Save changes". (Figure 4). In order to edit an item or category, click on the "Edit" link on the same line. (Figure 5). 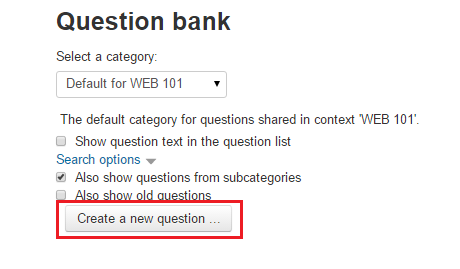 How to Add Questions to Question Bank? You can use those questions in Quizes. 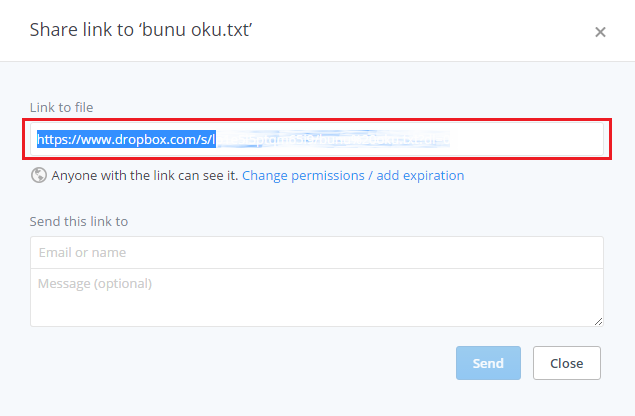 How to Add File From Dropbox? 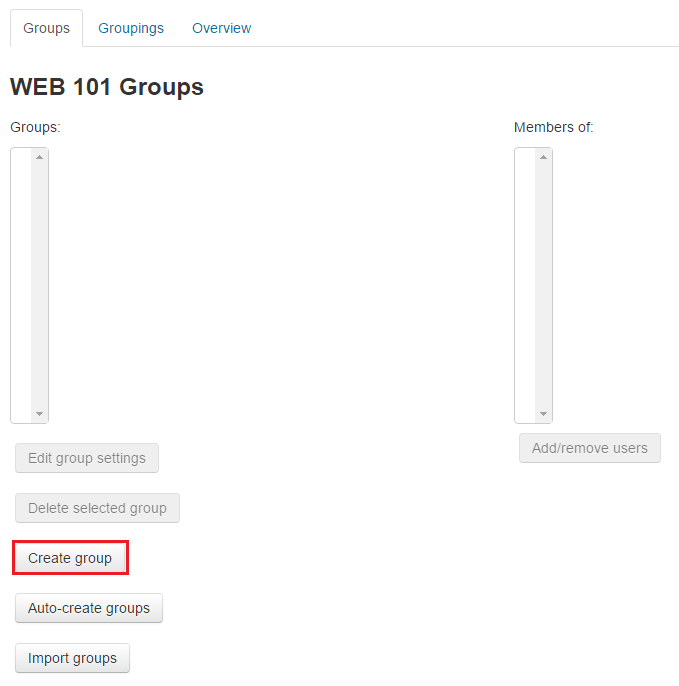 How to Create Group Forums? How to Restore Archived Courses? How to Share Items Between Courses? 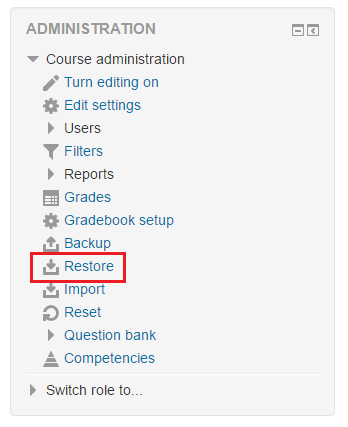 How to increase moodle course restoration upload size? 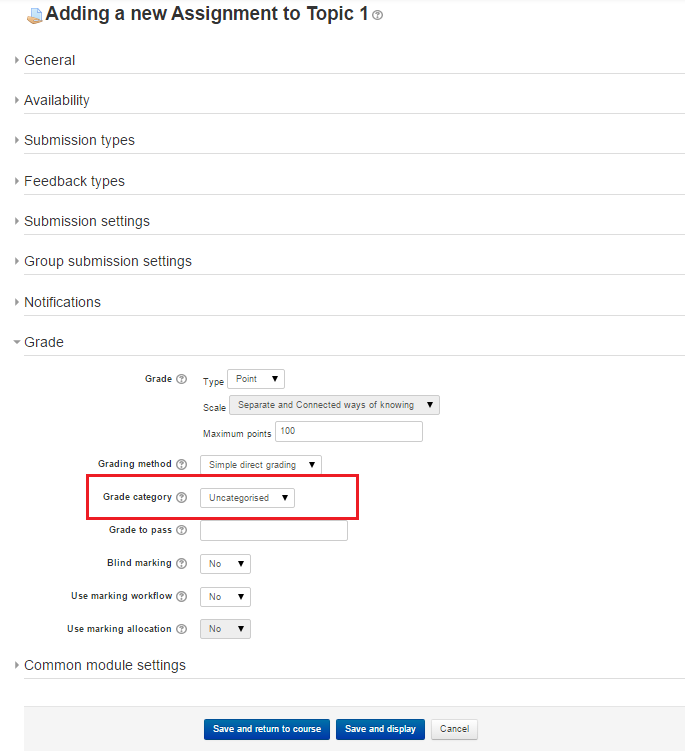 You can increase moodle course restoration upload size up to 64 MB by selecting the "Site upload limit (8MB)" option in the "Files & uploads" section of the "Edit course settings" page. 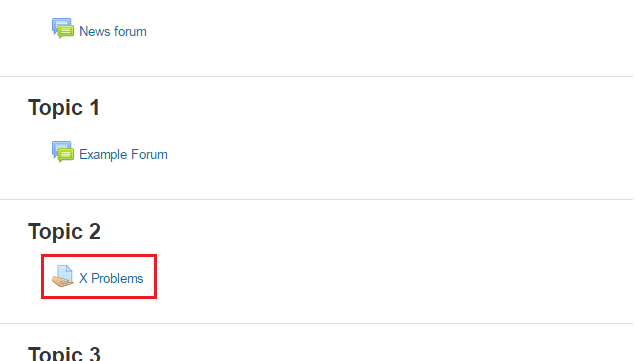 Forum link should be clicked on the course page to access the forum. Note : Students cannot reply to "News Forum". 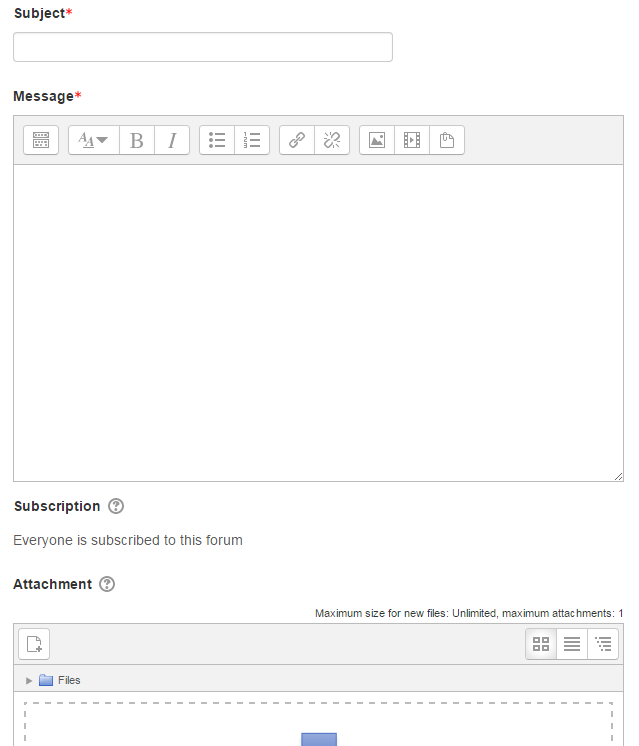 On the next screen, the form should be filled and then “Post to forum” button should be clicked. The fields that have red * sign next to them are required fields (Figure 3). How to Access Grades and Materials of a Course? On the course page click on the assignment that you want to submit (Figure 1). 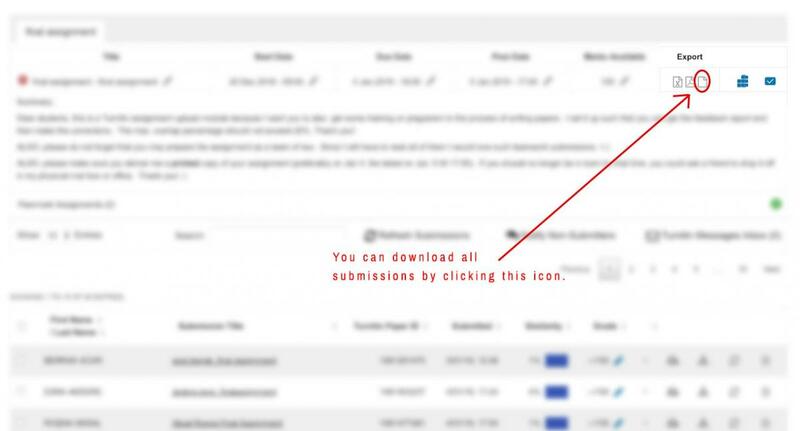 Then click “Add submission” link under assignment details (Figure 2). 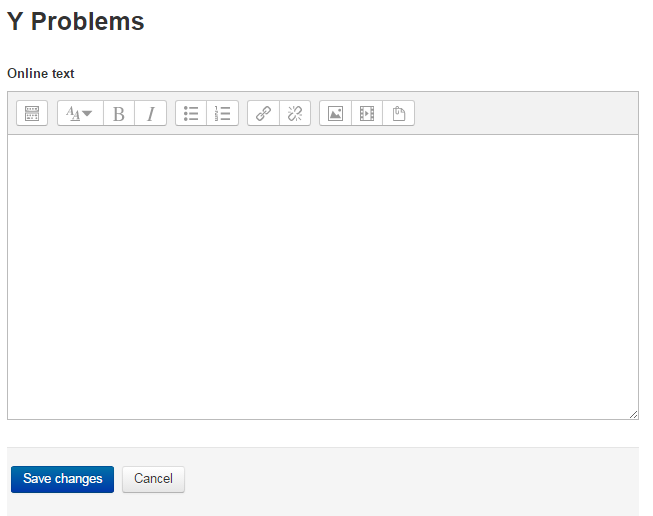 Then upload your file (Figure 3) or write your assignment on the text area (Figure 4) and then click “Save changes”. 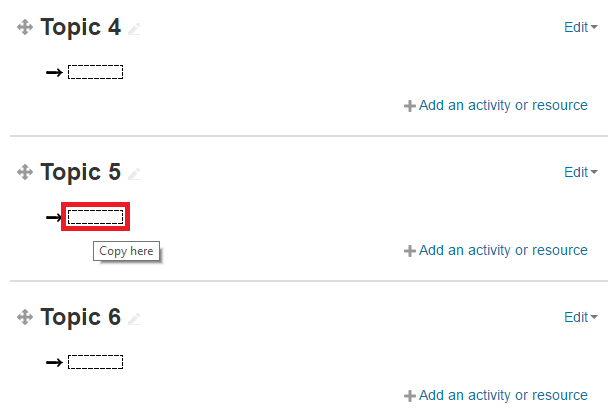 While creating an activity for your course in Moodle, you have the option of choosing a "Turnitin Assignment 2". This is your gateway to the Turnitin system from Moodle and it is very much like the regular "Assignment" module. The only difference is: all submissions by the students go through the Turnitin system. Please see next tutorials for Turnitin options. 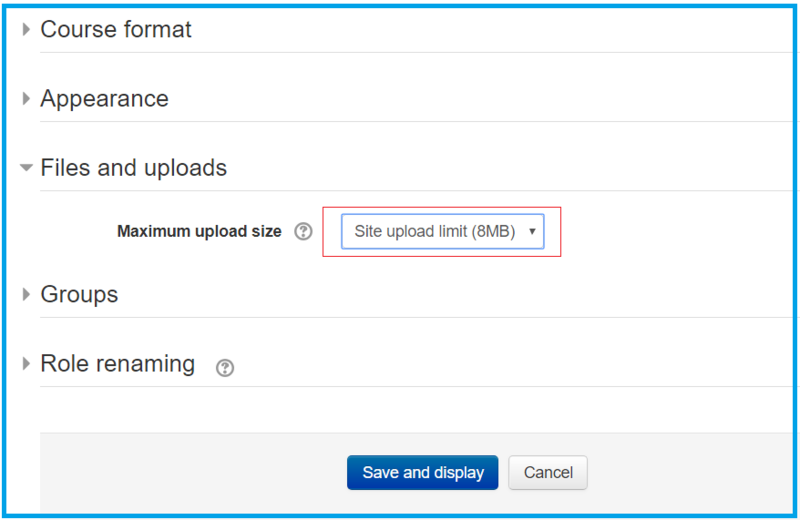 What is The Maximum File Upload Limit for Moodle? 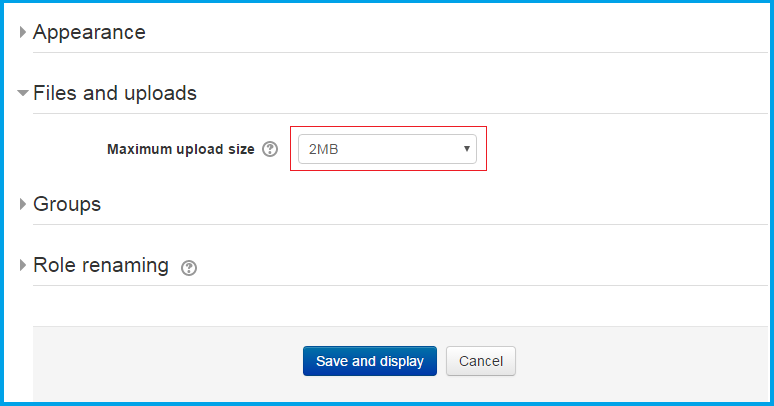 The maximum file upload size limit is 8 MB for instructors and 1 MB for students. 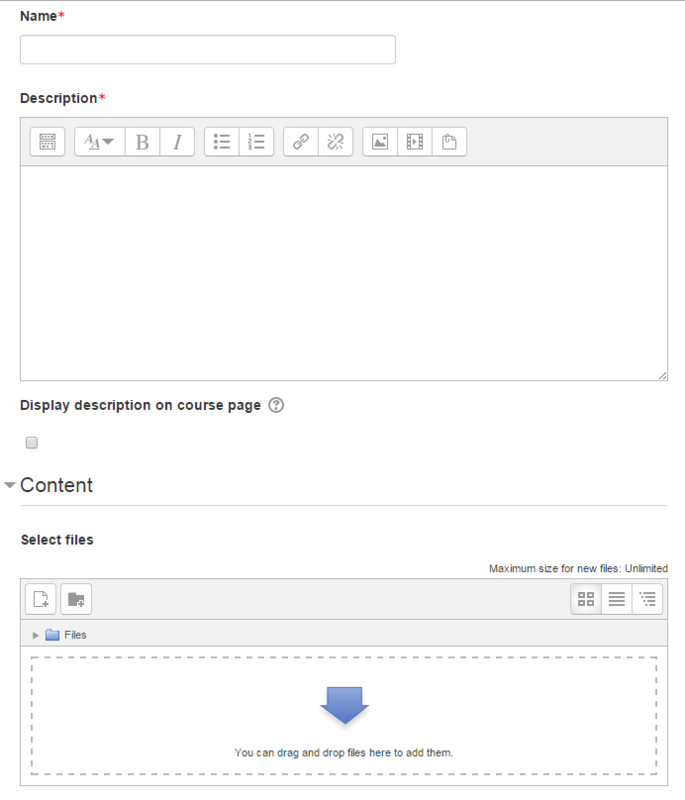 Course-wide maximum upload limit is 2 MB by default, but instructors can increase it to 8 MB on “Course Settings” page. 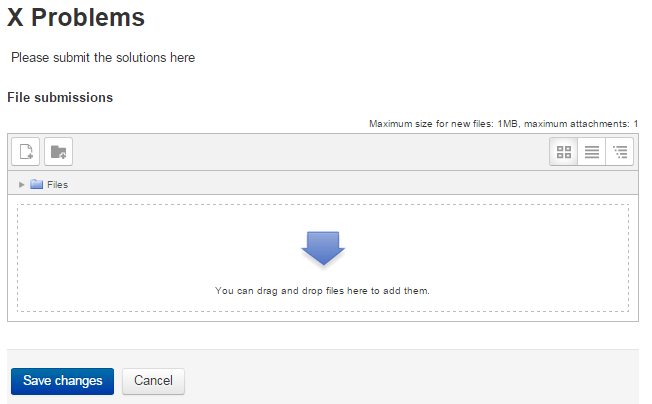 For larger sized files, users can use external file hosting services such as BOUN Cloud, Dropbox or Google Drive. What Happens to The Previous-semester Courses? The courses of the previous 3 semesters are held as read only in Moodle. 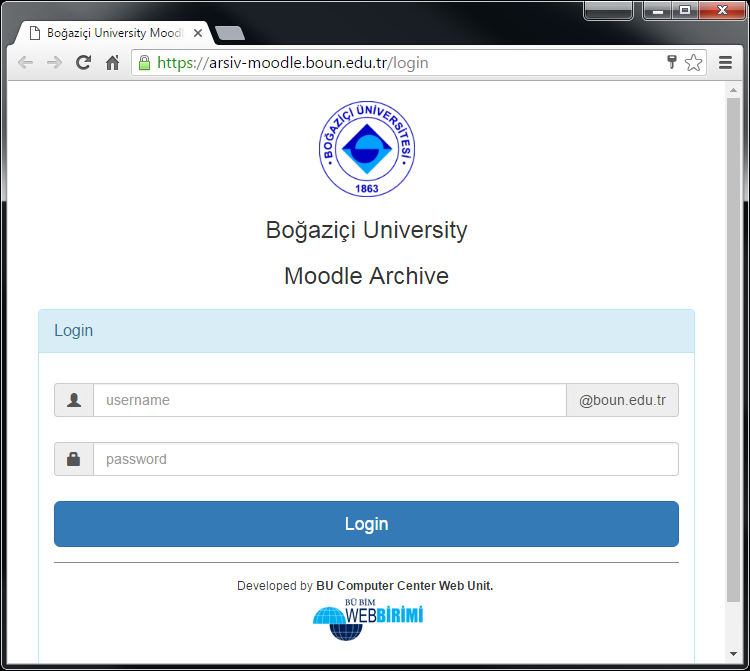 Courses from the previous 4 to 10 semesters are archived and moved to the Moodle Archive System (https://arsiv-moodle.boun.edu.tr/login). Instructors can access the previous courses and download the archives from the system using their BOUN usernames and passwords. Is There Any Email Restriction on Moodle? 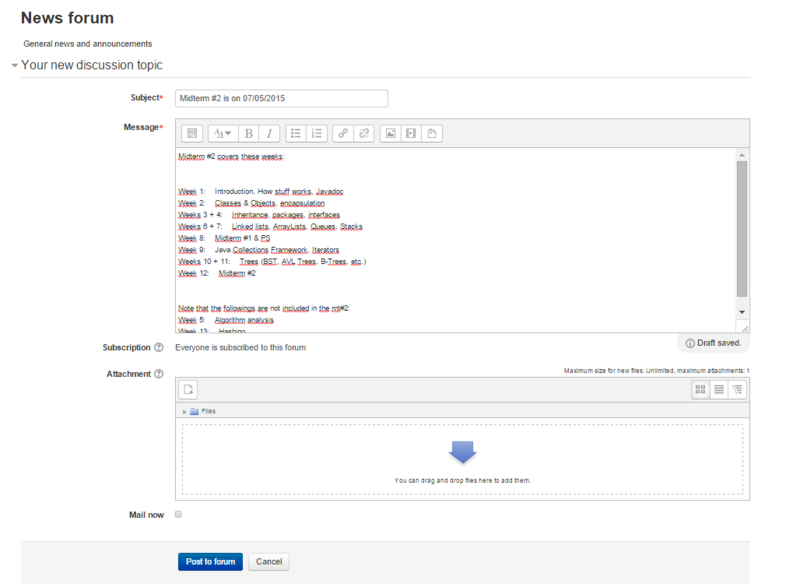 Instructors can send mass emails to students on Moodle courses. Moodle has no email restrictions. 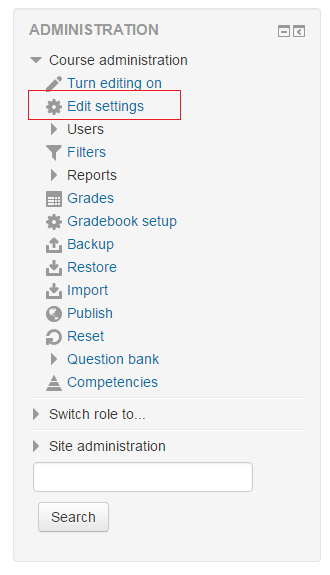 How Are User Accounts, Semesters and Courses Generated on Moodle? User accounts, semesters and courses are generated automatically from ÖBİKAS (Student Information and Registration System). What Should Instructors Who Want to Use Moodle Do? 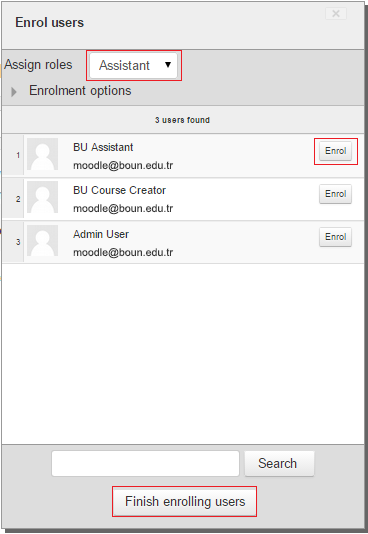 Instructors must use BOUN e-mail addresses in their ÖBİKAS accounts (http://registration.boun.edu.tr) to use Moodle. 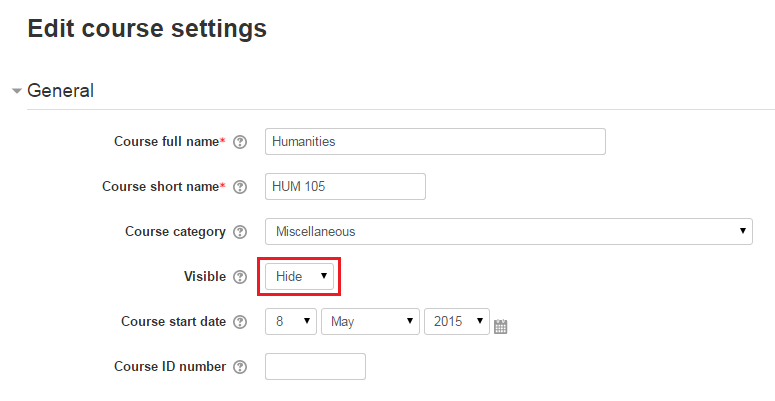 Courses are invisible by default in Moodle. Instructors who want to use Moodle should make their courses visible to students. Can Instructors Manually Enroll Students to Their Courses? Instructors can manually enroll students. 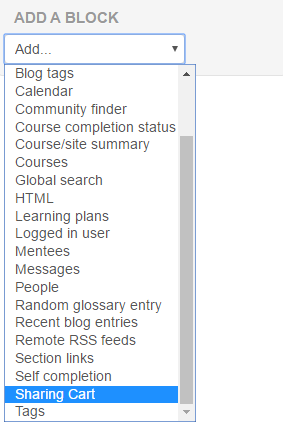 When Will New Semester Courses Be Created in Moodle? New semester courses are created in Moodle at least 2 weeks before the start of the new semester. Can I Use The Email Address I Want in Moodle? Users must use their BOUN email addresses in Moodle. Can Instructors Get Backups of Their Courses? 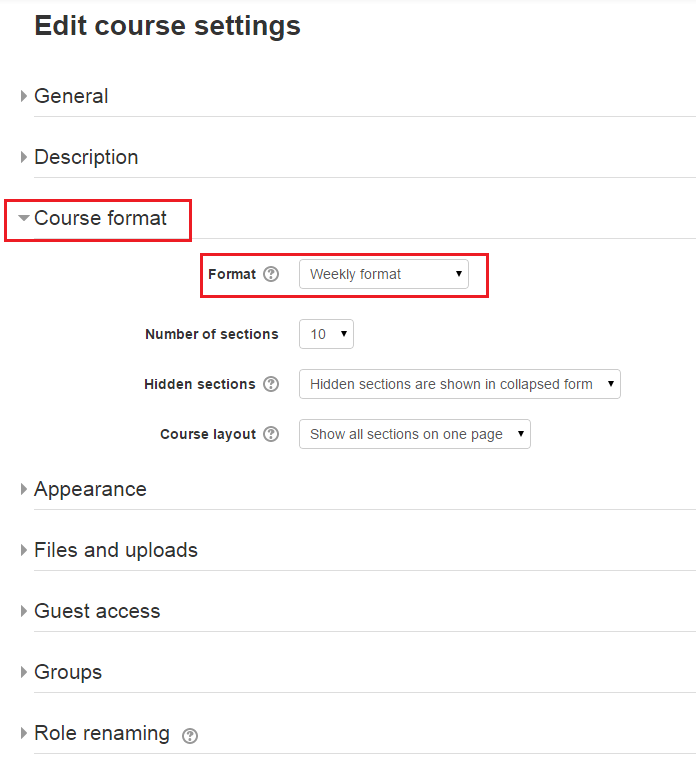 Instructors can get backups of their courses of the previous 3 semesters from the "backup" link on the "Course administration" menu after opening the course page of which they want to get a backup. 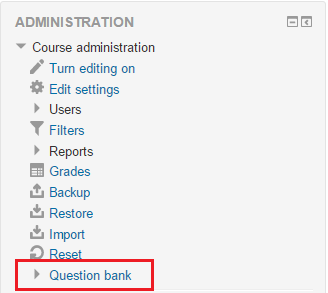 Can Instructors Upload The Previously Created Moodle Course Archive to The Current Course? Does This Have a Limit? 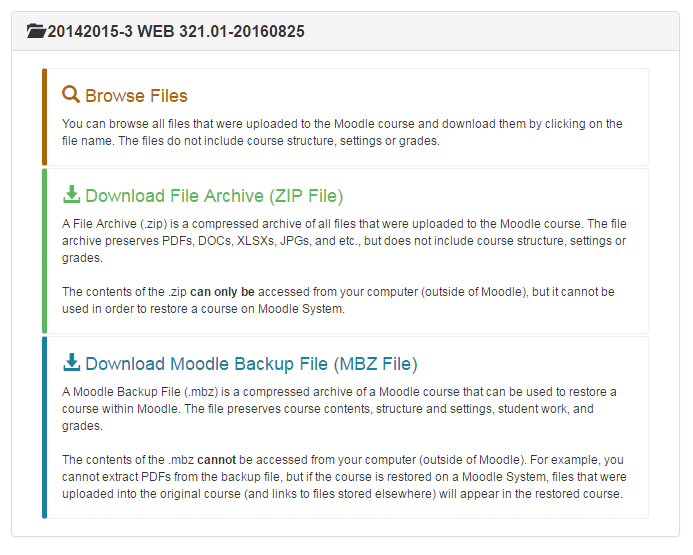 Instructors can upload the previously created Moodle course archive to their current course. The maximum upload size limit for an archived course is 64 MB. Can Instructors Copy The Contents of a Course Stored on Moodle to Other Courses? The contents of the courses can be passed on to other courses by the instructors. Is There Any Difference between The Registered Students on The Moodle and The Registered Students on The ÖBİKAS? If the student's current student number on Moodle and on Registration System are different from each other, the student is not enrolled in their courses on Moodle. In this case, the student should update his/her student number by going to Computer Center Laboratories with his/her Student ID card. Instructors who teach more than one sections of the same course can request to merge these sections on Moodle by contacting Registrar's Office. 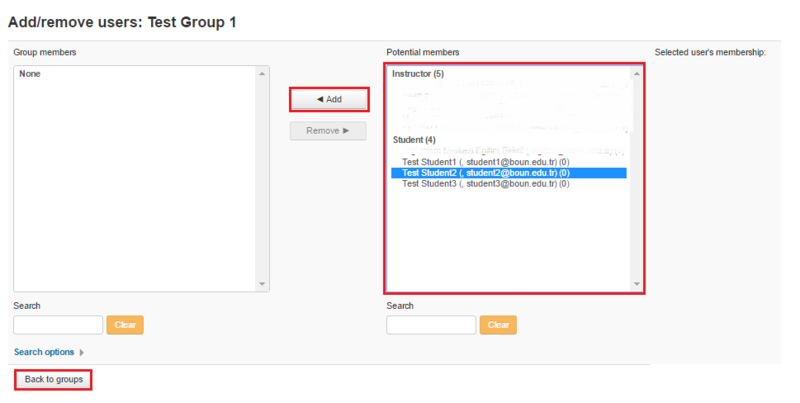 After merge process is completed, all of these students who are enroled to these sections are enroled into each section on Moodle. Instructors can set visible one of the sections and start using it. 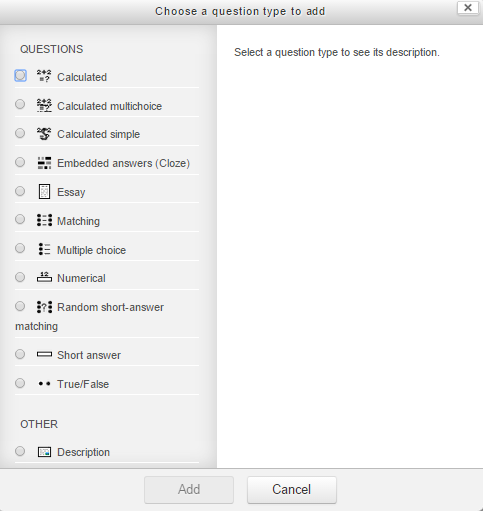 How can I download all submissions from a Turnitin assignment?